Ancestral Portraits was originally a self-portrait series inspire by family photos from the 1950’s of my namesake and grandmother, Marguerite “Maggie” Lawson. In each portrait, I impersonated my grandmother. 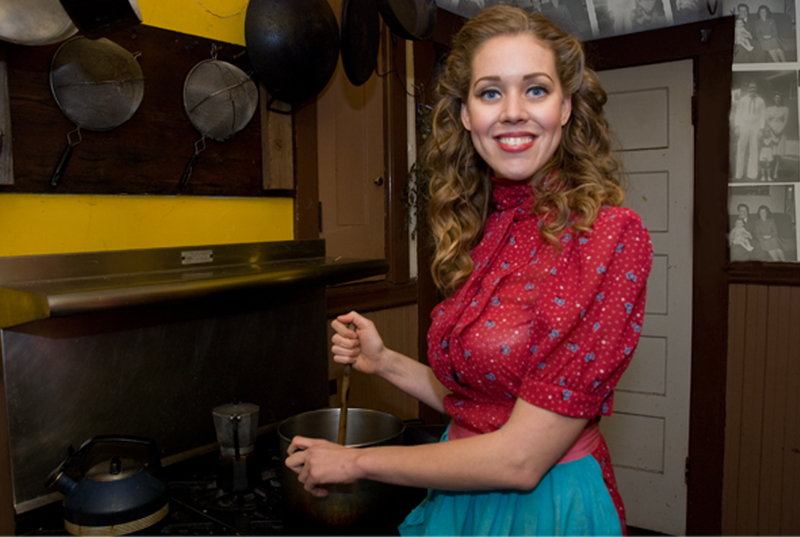 The intergenerational reenactment connected how Grandma Maggie’s existence as a young, smalltown housewife impacts my experience of homemaking today. The Ancestral Portrait series continued with Tiffany Foo and her depiction of her great aunt, Noel Toy. Tiffany’s great aunt was one of the first Asian exotic dancers in the San Francisco area in the 1940’s. Tiffany related to Noel’s willingness to make her own way in the world despite her conservative upbringing in a Chinese immigrant family.